It is with deep sadness that we share the passing of our beloved son, Jordan. Words cannot express the unbearable loss we feel and we are so thankful to all of our family and friends for being supportive during this difficult time. We have heard stories about Jordan from everyone he touched and received letters from peers that were out of town talking about how he taught them about unconditional love and how he changed their lives. 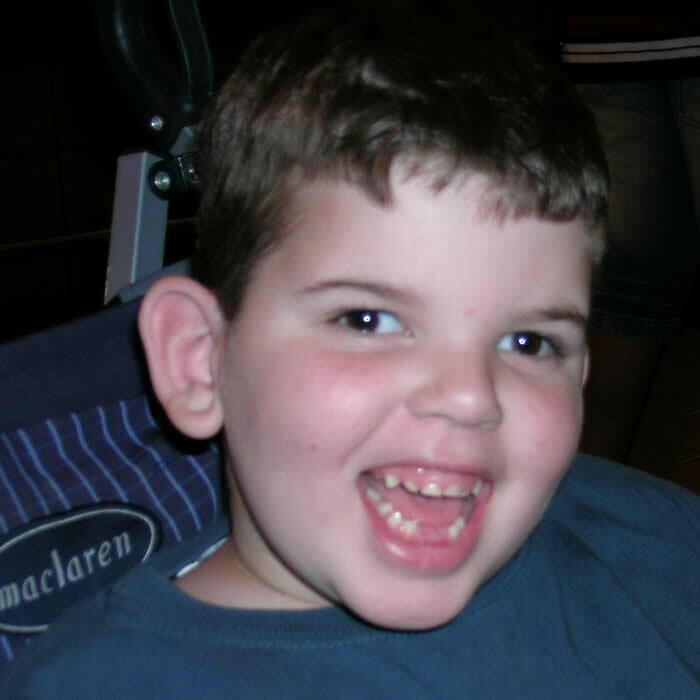 In Jordan’s short 16 years, Jordan impacted more people than most of us do in a lifetime. 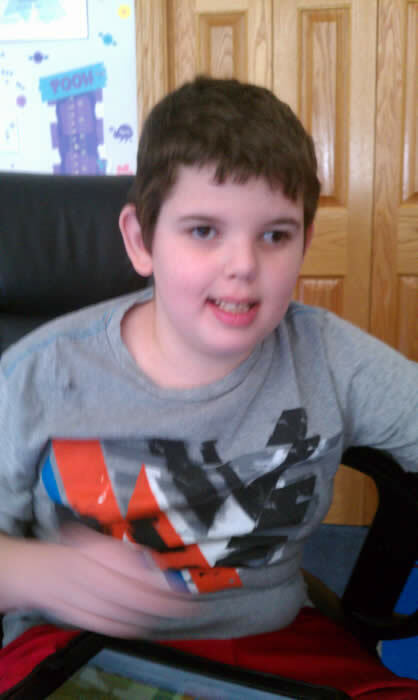 Jordan loved playing soccer, boxing, basketball, bowling and kickball with his buddies. Jordan loved his electronics and if possible would have an ipod, an ipad, a kindle and the tv on at the same time. Jordan also loved having family and friends sing “on demand” his favorite songs. Perhaps, most of all, I will miss hugs and cuddling. Jordan was a warrior in every sense. 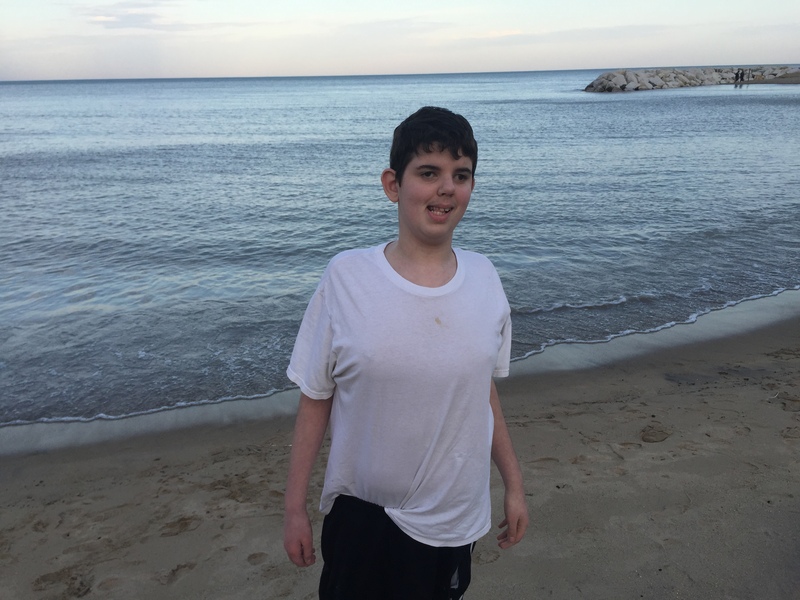 Jordan fought his illness until he could fight no more. He taught all of us so much. Jordan will always be in our hearts, our minds, and our souls. Wow, time flies. Jordan is 16 years old. He is a sophomore in high school. Last spring he was hospitalized twice – once with pancreatitis and once for unknown stomach issue, but other than that has been doing well. He has a communication device called a NovaChat 7 which he is learning to use. He often says “I feel happy.” with his device. He continues to make slow progress with vocalizations and word approximations and can identify number 1-50 and is learning how to read. Jordan’s favorite activities involve “buddies” (typically developing peers) and he enjoys soccer, boxing, and kickball in addition to his high school buddies program. He has a 1:1 nurse and aide at school. Jordan is now 12 1/2 years old. He is in 7th grade at our local middle school. He uses a Dynavox V to help him communicate and is starting to use some word approximations. My brother, Jordan, is 9 years old and has early onset Propionic Acidemia. We live in Highland Park, Illinois. He likes to play chase with me, play with his Video Now Jr. and swing on the swing in our basement. Jordan doesn’t know how to talk yet and I worry about what kind of job he will be able to get when he grows up. He uses a computer with a touch screen to communicate. Jordan is in 3rd grade and goes to a special education school. I wish he was at school with me, but our school doesn’t have a special education classroom for Jordan. I also worry about where Jordan is going to live when he grows up, but my mom assures me that he will have choices. I love my brother very much and when I grow up I will try and help find a cure. I am 12 and would love to talk with other kids that have sisters or brothers with PA.